Welcome to a moment of decision in your life, will you sieze the moment, or let this moment pass!! Just Listed Commercial Builidng just off Aurora near Oaktree Village. 3,400 square foot builidng on a 6,293 squaer foot lot zoned C1-40. Located in the Aurora-Licton Springs Urban Village Designated area with soon to come mass transit. Spacious office space with with over 1,700 square feet plus the unfinished basement. Plenty of parking on & off street. The City of Seattle is considering increasing building heights. 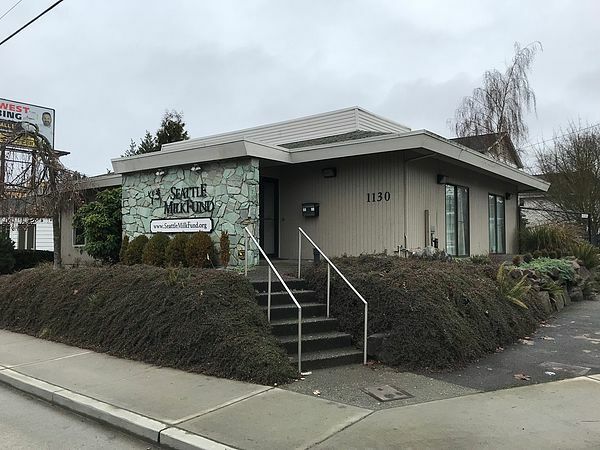 Building is in good condition, built in 1976, & has been well maintained and would make a great office, medical/dental space or other commercial use. The site is approximately 75 feet along Northgate Way and 83 feet along Midvale Ave N.
Redevelopment estimates would allow 25-27 apartment units or perhaps 7 town house live work loft units. Call today for more information or for an appointment to see the inside of this exciting offering.